WEARCO is a recognised distributor and stock holder of the Digga Australia range of Heavy Machinery Augers and Attachments. The breadth, variety and high standards of products produced by Digga allow us to provide our customers with a world class quality product. Diggas’ Augers are 100% Australian. Manufactured with 26yrs experience in drilling design and technology, Digga provide an extensive range to suit your individual requirements; light industrial to heavy duty, single cut, double cut and fully-flighted augers. Custom made Augers of all types with most styles of teeth are available upon request. 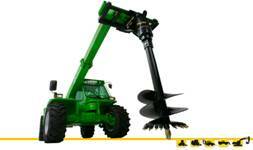 Digga augers can drill through Earth, Clay, Concrete, Bitumen and most fracturable rock.